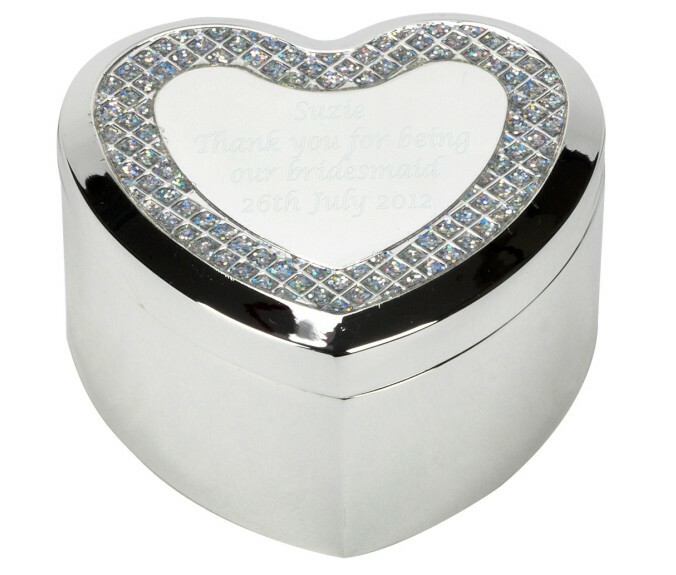 A beautiful engraved heart trinket box with crystals. Personalised to your exact requirements. This amazing trinket box has a dark blue velvet lining and measures 60 x 50 x 30mm. This amazing trinket box is a perfect gift for your Bridesmaids, Mother of the Bride and Groom, for Birthdays, Anniversaries, Christmas, or to even pop the question! It really is endless! !